If you are looking for something fashionable, take a look at this churidar suit brought to you by popular brand Kashish. Crafted from good quality fabric, it will let your skin breathe. The kurta flaunts an embroidered pattern and three quarter sleeves along with a notched collar lends it a classy appeal. 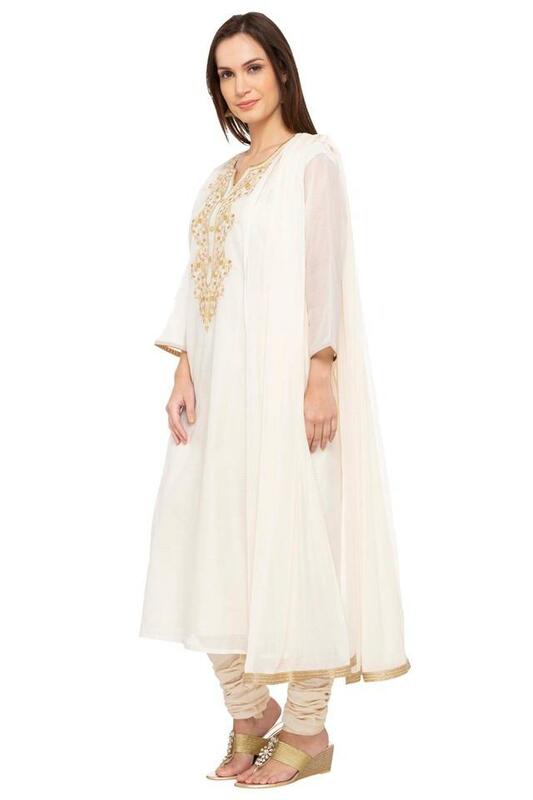 The pair of churidar features a beautiful solid pattern and the look is completed with a matching sheer dupatta. 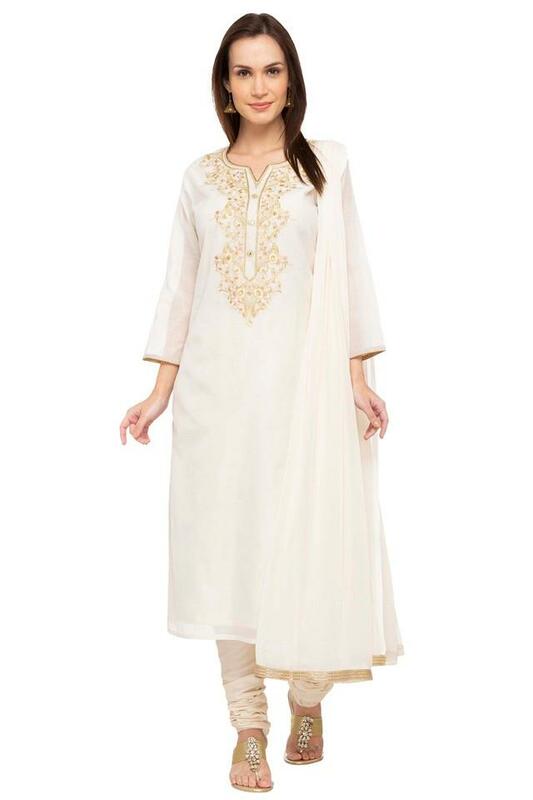 Bring home this churidar suit, which will be a great choice for casual occasions. Designed to perfection, it will look great with a pair of heeled sandals.